The admit card of GCET 2018 will be issued in the offline mode in the first week of April 2018. After submission of application, candidates can collect the admit card of Goa Common Entrance Test or GCET 2018 in person. 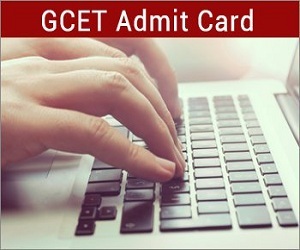 GCET admit card 2018 includes name of the candidate, examination centre address, time and date of exam, application number and other important instructions. It is mandatory for candidates to carry the GCET or Goa CET admit card along with one of the identity proofs to the examination hall. To know more about GCET admit card 2018 read the article below on this page. After receiving GCET admit card 2018, candidates will find the following details printed on the admit card. Candidates must ensure that the information mentioned in GCET admit card are correct. Check details mentioned in GCET admit card 2018 below. Roll number: Candidates will be provided a roll number to appear in GCET 2018. Date of birth of the candidate: Candidate’s age as provided in the application form.